A collection of 30 vintage Easter images. Most are 100 years old. 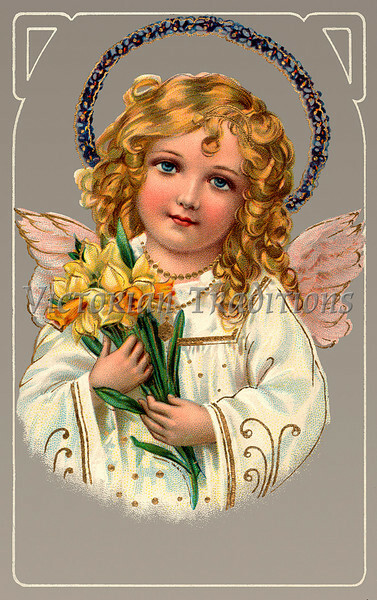 Little angel holding Easter daffodils - a vintage greeting card illustration, circa 1910. (To purchase prints or downloads, click on the "Buy" or shopping cart button above the image; then choose "This Photo", followed by clicking on the 'Prints', 'Merchandise', or 'Downloads' tab.) NOTE: the largest available download for this image is currently only 1 megapixel (low-resolution or 3 megabytes).